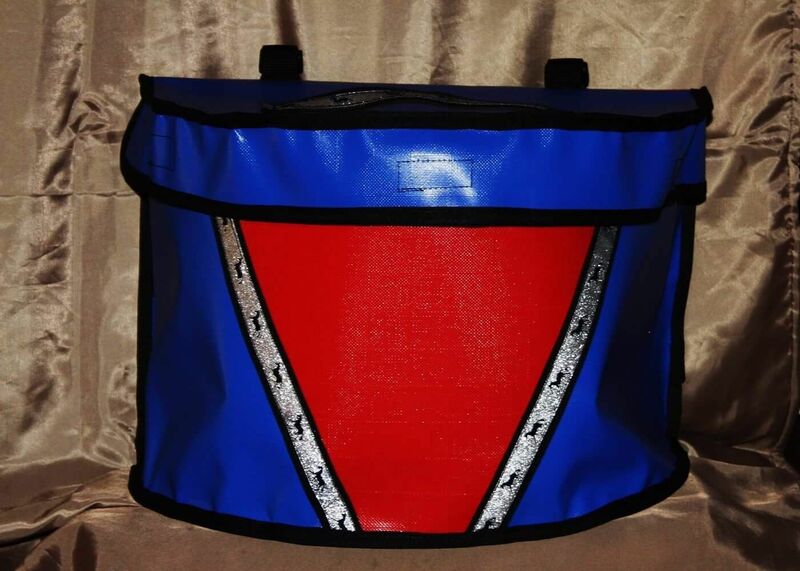 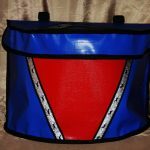 Heavy duty PVC Feed Bag with lid. 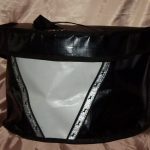 Two tone colour with black binding and silver horse design ribbon. 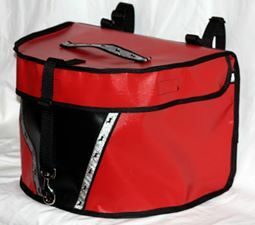 Clip on top to hang with and also two straps at the back for the option of securing the feed bag at 3 points. 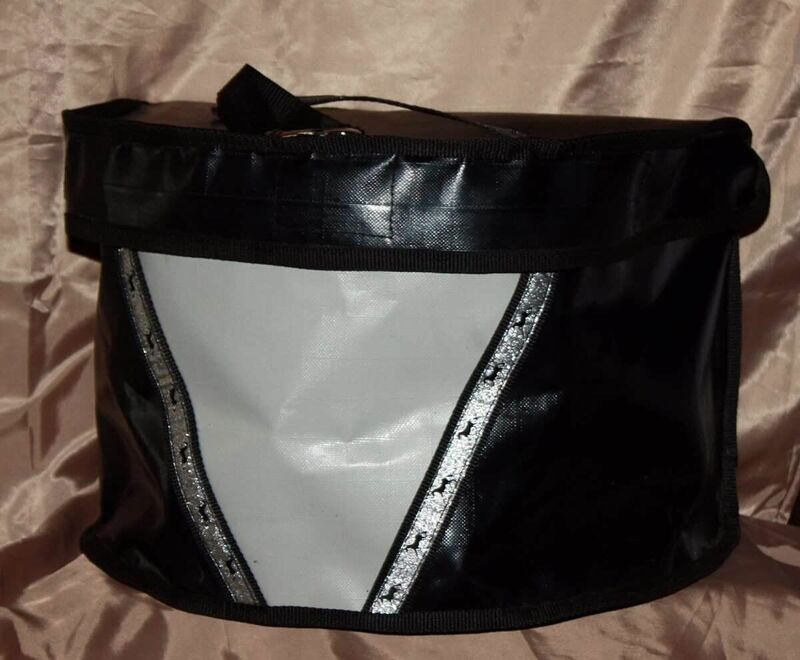 Feed bag has a lid with lip to stop the spilling of feed while transporting. 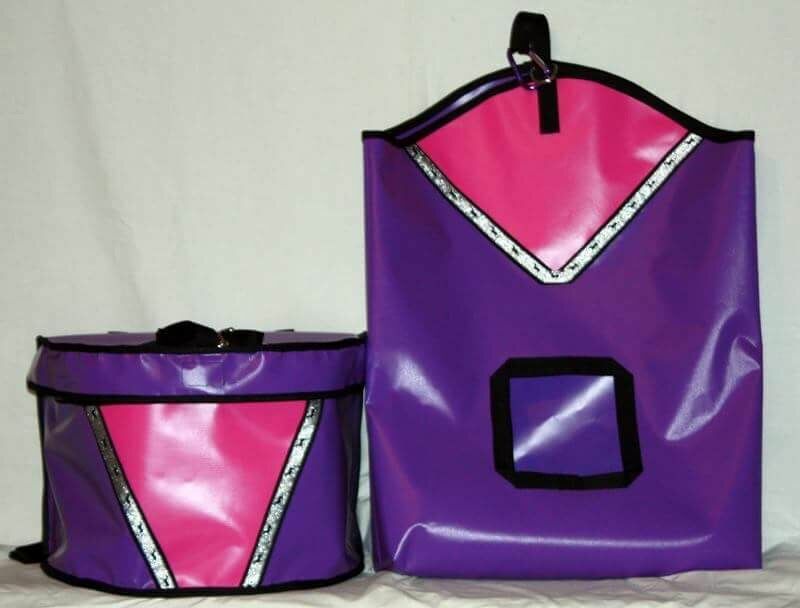 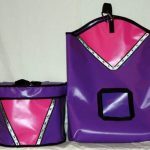 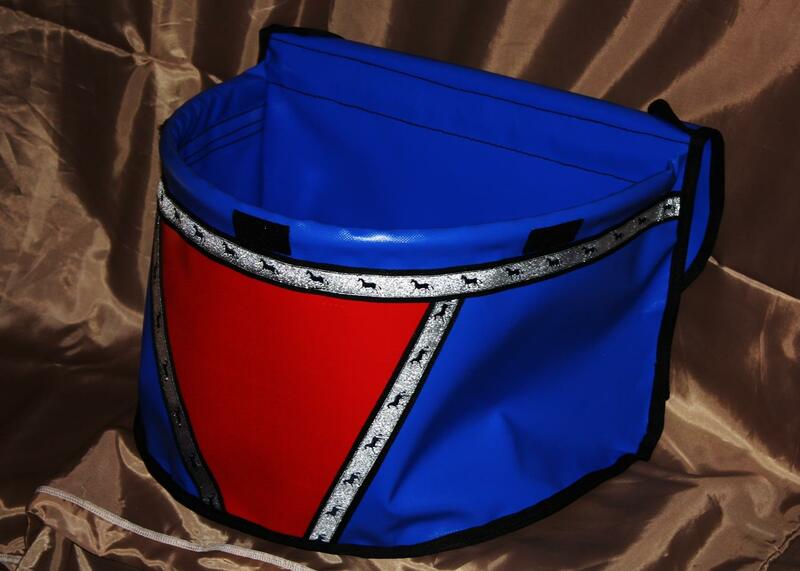 Perfect feed bag for travel, Horse competitions and everyday use. 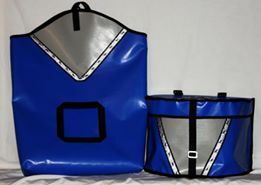 Please allow up to 3 weeks for these bags to be shipped as all bags are made to order. 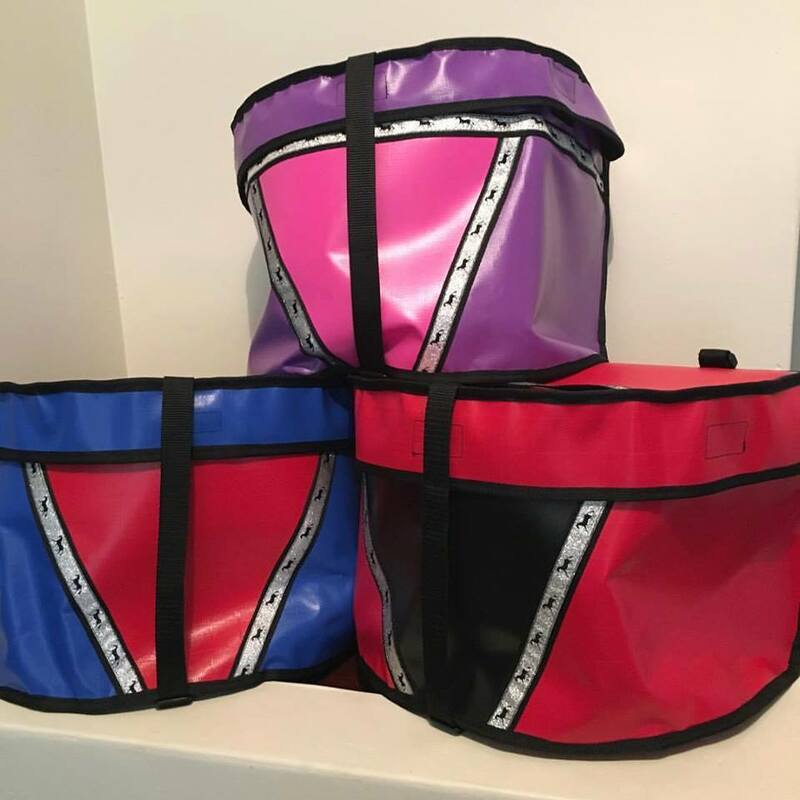 Contact us if you would like something a little different.